See an Office Hours date you are interested in with no available slots? Join our Waiting List. Receive free legal advising from Chambliss Startup Group the third Friday of every month. Click below to reserve a 30-minute time slot for your startup. 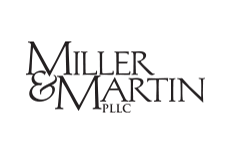 Receive free legal advising from Miller & Martin the first Tuesday of every month. Receive free financial and accounting advising from Henderson Hutcherson & McCullough the first Thursday of every month. Click below to schedule a 30-minute time slot for your startup. Visit The Company Lab (CO.LAB) the third Thursday of every month to receive free advice in software product advising from Carbon Five, a digital product development agency who has been building software products for 17 years. During office hours, you will have the chance to work with Product Manager, Allie O’Connell. Depending on the stage of your startup, advising will focus on getting started with your software startup idea, building a balanced product team, or creating effective prototypes and user tests to find product/market fit. Click below to schedule a 45-minute time slot for your startup. Visit The Company Lab (Co.Lab) the first Wednesday of every month to to have a risk management conversation with Jack Findley of J. Smith Lanier &. CO., a private regional insurance brokerage. Jack takes a consultative approach in designing your risk management program by truly understanding your business and highlighting your exposures. Click below to schedule a 30-minute time slot for your startup.